HomeE-mail content amnesia and how to avoid it. E-mail content amnesia and how to avoid it. Study after study shows that despite the best efforts of marketing specialists to engage their target audiences with interesting, memorable e-mailed content, often those efforts fall on blind eyes or deaf ears. A just-released analysis by online presentation firm Prezi confirms this dynamic once again. The study was conducted by presentation software developer Prezi in concert with cognitive neuroscientist Carmen Simon. 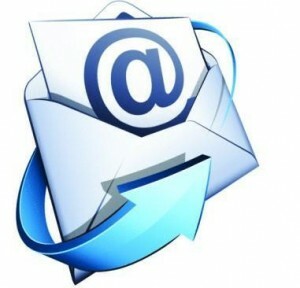 It found that four in five consumers forget most of what they read in e-mails after just three days or less. Even worse, approximately half of them cannot recall even one single thing about what they’ve read. The takeaway from this is that people aren’t forgetting content for “existential” reasons, but rather due to the nature of the content itself. … Which brings us back to the challenge marketers face to make their content interesting and worthwhile enough to engage audiences. Counterbalancing these terms are words that actually depress interest and engagement. Interestingly, some of the biggest “killer” terms are ones that conjure up images of the classroom: Few people want to feel like they’re being lecture to, evidently. According to Jay Schwedelson, CEO of marketing performance metrics firm Worldata, which conducted research based on more than 5 billion e-mails transmitted during 2017, his company’s research found that the word “training” had a negative impact (response depressant) of ~8% when used in e-mail subject lines. The word “learn” had a similar dampening effect of ~7% when used as part of the subject line. Popular belief has it that “question-type” subject lines aren’t a very good idea either, because they introduce a sense of “low energy softness” and project a lack of purposeful action. But the Worldata analysis shows a different result, determining that e-mail subject lines presented in the form of a question tend to drive higher open rates (by approximately 10%). More details on the Prezi findings can be found here. ← If there’s a drumbeat among B-to-B marketing professionals, it’s grousing about cross-channel marketing attribution. Well, this would explain why nobody actually reads my emails!